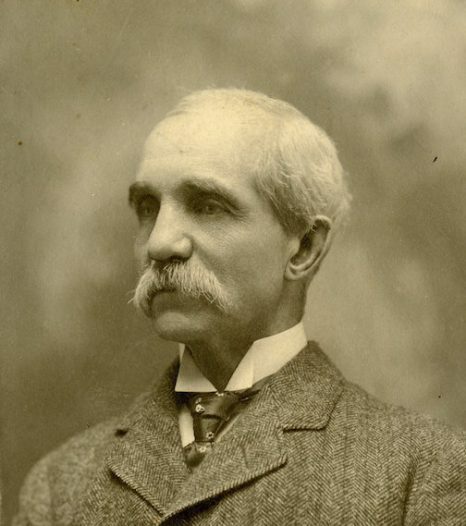 Son of Lorenzo and Roxanna (Brudick) Kellogg, Brainerd Kellogg (1834-1920) was born in Champlain, New York on August 15, 1834. He entered Middlebury College in 1854 as a member of the Class of 1858. He was a Tutor (1860-1861) and Professor of Rhetoric and English Literature (1861-1868) at Middlebury College. He resigned to accept a professorship at the Brooklyn Polytechnic Institute, which he held for nearly four decades (1868-1907) and from where he published a number of lesson books. Kellogg was a longtime Trustee of Middlebury college (1885-1920), a frequent visitor, and a faithful friend. He spoke at the dedications of Starr Library (1900) and McCullough Gymnasium (1911). Kellogg was the author of Rhetoric; History of the English Language and occasional addresses. With Alonzo Reed, he jointly authored, Graded Lessons in English; Higher Lessons in English; A One Book Course. Kellogg married Julia Rogers Cutter on August 19, 1862 and had a son and daughter: Frederick and Julia [Mrs. S. Vilas Beckwith]. Kellogg died in Morristown, New Jersey on January 9, 1920.